Could the First 3D Printed Liver Be a Year Away? Earlier this week, we reported on a team out of Cornell University working on a 3D printing solution for replacement body parts, but they are far from the only ones working on bio-printing. In fact, a San Diego bio-printing company believes we are just over a year away from having the first 3D printed human liver. Currently, the issue with printed human tissue is that it dies before it can ever be removed from the printer. Once printed, it needs access to the human vascular system to obtain the necessary oxygen and nutrients to function. The San Diego company Organovo, however, says it has passed the hurdle on this issue, at least on a small scale. The company has reported that they have printed liver tissue greater than 500 microns that was fully functional and maintained normal function for 40 days. Of course, this is just a first step. They have been able to print hepatocytes, which are the cells that make up the majority of the liver. There are, however, other cells in the human liver that have functions separate from the hepatocyte cells. In order to print a working human liver, they would have to be able to print all of these cells in the complex combination that a liver contains. Still, this is an important and exciting first step. The company’s researchers were able to print fibroblast and endothelial cells which form tiny vascular networks that will be the basis of keeping the other cells, once they can be printed, alive. As of now, there is no word on how or exactly when the rest of the cells needed for a liver to function will successfully be printed, but it is clear that Organovo is working hard on getting all of these pieces together. 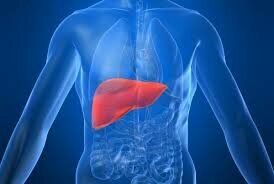 Printing a liver, although a miracle of modern bio-medical science, is just one step in the process however. Then the company will have to navigate the complex maze that is the FDA in order to get approved for human trials and eventual production for human use. So while they may only be a year away from printing the first viable human liver, it could be another 3 to 10 years, according to those familiar with the FDA approval process, for the process to actually see the light of day.